ventilation, tidal volume, resting oxygen uptake and carbon dioxide output. - Decrease in arterial blood pressure and functional residual capacity. A regular exerciser may not have a problem adapting to these changes, however a beginner exerciser might wish to wait a few months before beginning an exercise program. 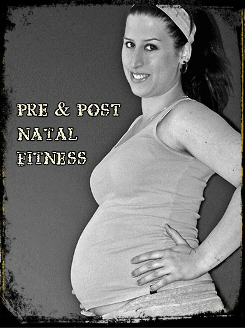 Are you planning on becoming pregnant, or are you expecting and looking for a safe and effective program? Are you a busy person with a chaotic or irregular schedule who attends the gym only sporadically, have no clue what to do and why? Or are you someone who attends the gym already and are looking for a more advanced program design? Then this is the program for you! With Online Training, you use a really great app on your phone to receive workout plans specifically designed by RoxFit for you and your goals, track your workouts, set your goals, track your progress and watch yourself move forward in your training. With the monthly Elite Plan that I offer, you also receive monthly recipe packs to stay accountable to your nutrition. You can sync this app to your MyFitnessPal account, which is super helpful to stay on track. I send you check-in messages when I see that you haven't logged-in in a while, which is helpful for accountability. RoxFit will design a specialized workout program that you will be able to do on your own, whether at your gym or at home, whatever your situation calls for, the program will be designed specifically for you. The plan also comes with a 7-day meal plan to help kickstart your goals! Find your big Why? and discover your self worth. Discover how to find the proper help for your fitness goals. Set an appropriate expectation of results and don't fall in the trap of information overload. The real deal about motivation, accountability and support systems.